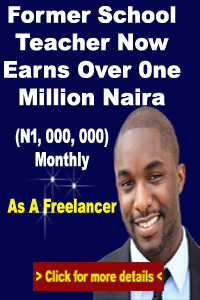 How To Make Money In Nigeria: 5 Good Reasons To Become An Online Entrepreneur! 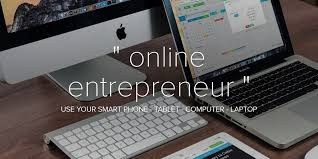 5 Good Reasons To Become An Online Entrepreneur! The allure of “being your own boss” is one of the most common among millennials. The biggest draws are the flexibility and independence that come with it. But becoming an entrepreneur, online or offline because you like the title, or because other people are doing it, can end up being the most life-altering decision you ever made. Unlike a job that begins and ends from 9 to 5, entrepreneurship is a full-time engagement that is very likely to take over and define your life. Yes even if it is online, you should focus on it like that. So, make no mistake, it is not a minor decision or undertaking by a long shot. So, what is your “Why?” Why do you want to do it? Why are you doing it? In this article, I explore five main reasons why you should choose the path of online entrepreneurship. I’ve arranged them in no particular order. It’s no surprise money comes first. Actually, it’s deliberate. That’s because many people who become entrepreneurs do it for the money. And there is absolutely nothing wrong with that. Money is important. Money gives you more options in life and affords you the unique power to provide for yourself, your family and everyone who depends on you. Money settles the rent. Money pays the bills. Money can solve a lot of life’s problems. In many ways, money makes you self-sufficient. While many people are likely to start an online business because of the money, what we often don’t realise is that money will never be enough. Did you know that up to 70 percent of people who win the lottery end up broke within seven years? We may never be able to fully explain why people who come into a lot of money end up losing it all. However, this reality just proves that money for money’s sake is just never enough. You need a stronger reason. By the way, have you ever wondered why most of the world’s richest and most successful people look for meaningful ways to give out some or all of their hard-earned money later in their lives? Why are the world’s most successful entrepreneurs — like Bill Gates, Warren Buffett and Richard Branson — giving away all their money to fight poverty, eliminate diseases, improve lives and make the world a better place? Why would they spend all their lives making a lot of money only to give it all away? Sadly, not a lot of people think about impact at a young age. We’re often too preoccupied with making money that ‘impact’ almost always feels like something we should worry about in retirement or toward the end of our career. Entrepreneurship is one of a few ways to cause real impact in society. You were born into a world that has the luxury of television, aeroplanes, microwave ovens, and other symbols of modernity. Most of these things were built by creators, inventors and entrepreneurs. People who choose entrepreneurship just don’t want to enjoy the world and leave. They want to contribute something, however small. They want to matter. Every young African is fortunate to exist on the continent at this time in history. Like the daring entrepreneurs, explorers and visionaries who built America, Europe and the Far East, our generation of Africans has a once-in-a-lifetime opportunity to transform our continent. Right now, Nigeria and Africa as a whole are challenged by several serious problems – hunger, unemployment, poor education and several others. To solve these problems, we will need the contribution of both thinkers and doers. Africa needs its visionaries and entrepreneurs right now more than ever. There is a growing number of entrepreneurs and the online entrepreneurs are growing even more – like these ones — who are building businesses that solve serious problems on the continent. These entrepreneurs are proving beyond every doubt that it’s very possible to make money and still cause great change and impact at the same time. But, even with impact, it’s still not a complete package for some people until they have one last element, which happens to be one of the biggest reasons people decide to pursue entrepreneurship. It’s true. Actually, power is dangerous without control. No matter how much money and impact you make as an entrepreneur, it’s not worth much if you don’t have any freedom for yourself or control over your life. There are entrepreneurs who complain that their business feels like a job. They’re making good money, and have a strong positive impact on the lives of their employees, partners and customers. But inside, they feel there’s something missing. They feel caged. They feel like they’re not in control of their lives. Doing what you want to do with your life and having the freedom and control to direct your life are rare perks of our modern world. Money, work or business should not control your life. YOU should control it! Starting an Online Business is not nearly as expensive as an offline one. 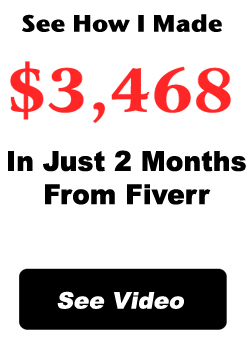 You can start from very little to build your presence, generate revenue and then use the money to expand. Most offline Businesses start as a hobby or freelance jobs. If you are starting an online business, chances are it is something you enjoy doing and comes to you naturally. So really, this is basically "work and play" mixing together and you "living your life!"